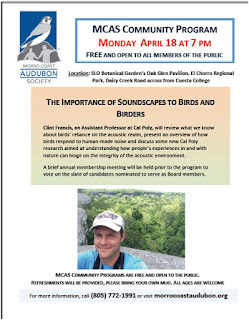 **WHAT: Clint Francis, an Assistant Professor at Cal Poly, will review what we know about birds’ reliance on the acoustic realm, present an overview of how birds respond to human-­made noise and discuss some new Cal Poly research aimed at understanding how people’s experiences in and with nature can hinge on the integrity of the acoustic environment. A brief annual membership meeting will be held prior to the program to vote on the slate of candidates nominated to serve as Board members. 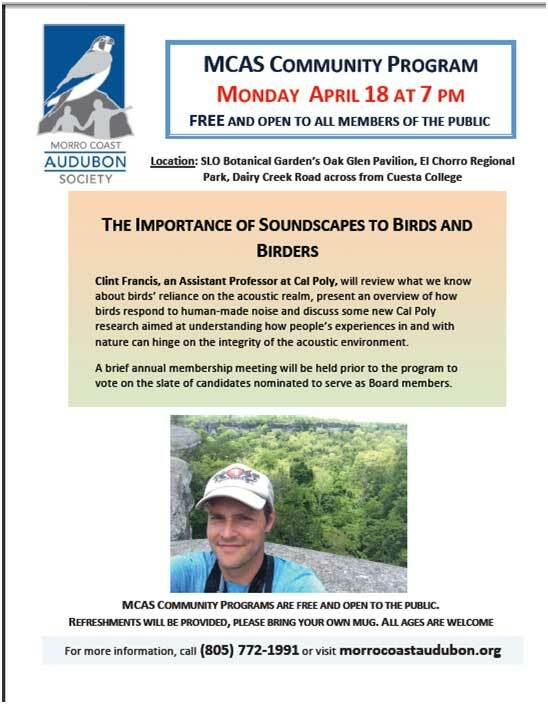 MCAS Community Programs are Free and Open to the public. Refreshments will be provided. Please bring your own mug. 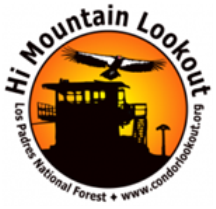 For more information, call 805-772-1991 or visit www.morrocoastaudubon.org.